"Software Solutions for Rapid Prototyping" goes to the heart of RP. It is the software programming that drives the modelling, execution, and creation of the actual models linking to the CAD packages. Advances and refinements in software and its integrationto RP systems are providing new and innovative solutions to RP problems. 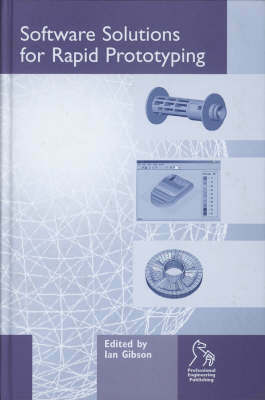 This book is written by a team of experts this book will help extend the usefulness of the technology. Rapid Prototyping is a technology that is now common use in industry. Some companies outsource this work to specialist suppliers and consultants. Others have brought the technology in house. There is, therefore, interest in this field from both academics and industry, but much of the development is still done by researchers in academic settings funded by industry. It features: RP database systems; Heterogeneous solid modelling for RP; Decision support systems; Reverse engineering and RP; and, Virtual reality support for RP. Those involved in RP technologies in industry and in academia will find this book invaluble in the development of their work. Manufacturing industries, product designers, software developers for design, manufacturing, and RP, all need to know about the scope and opportunities that software solutions can offer them.